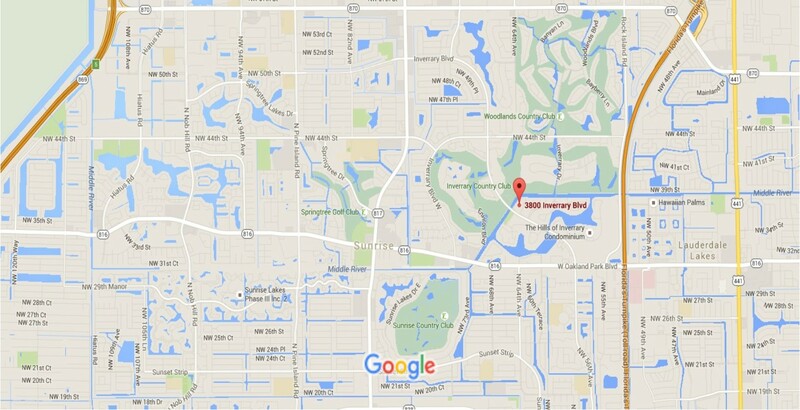 Take Oakland Park Boulevard to Inverrary Blvd/56th and go north on Inverrary Blvd. In your GPS, use the address 3800 Inverrary Blvd. Once you are on the complex, we are in Bldg 3810 #102.